Swedish pop group ABBA has their 1st non-album single with the song "Fernando," which became ABBA's biggest selling single of all time. ABBA's "Fernando" sold 6,000,000 copies in 1976 alone. The single also appeared on a number of ABBA's Greatest Hits albums. The song "I Want to Hold Your Hand" was written by songwriting duo John Lennon and Paul McCartney, the first Beatles record to make use of four-track equipment. Manager Brian Epstein instructed Lennon and McCartney to write a song with the American market in mind, resulting in "I Want to Hold Your Hand." The single eventually became The Beatles' best-selling single worldwide. This song made it big internationally but did not chart in the United States. "Yes Sir, I Can Boogie" is a hit single recorded by the Spanish vocal duo Baccara with a distinct flavor of disco. The single became a major hit across Europe. Songwriter Jack Lawrence received negative feedback after letting his friends listen to "If I Didn't Care," prior to it being recorded. Lawrence persevered and The Ink Spots recorded the hit song in 1939. The Platters, The Hilltoppers, David Cassidy and Connie Francis recorded other covers of the song. The song caught the interest during the late 60's with its theme of a world doomed by its overdependence on dehumanizing current and future technologies. Zager and Evans remain the only act with a number one hit but no other chart single on both the U.S. and UK singles charts. Authors of the book "The Worst Rock and Roll Records of All Time" places the song "In the Year 2525" at number six on their list of the 50 worst rock-and-roll singles. "Best-selling" doesn't always mean "good." "We Are the World" was written by Michael Jackson and Lionel Ritchie as a charity single to raise funds for African famine relief. The idea of the single came from activist Harry Belafonte and fundraiser Ken Kragen. An impressive group of musical stars gathered to record the record and this was the only single released from the album. "We Are the World" is the fastest-selling American pop single in history. Elvis Presley heard the song "There's No Tomorrow," recorded by singer Tony Martin, while stationed in Germany with the U.S. Army. Presley commissioned songwriters Aaron Schroeder and Wally Gold to rewrite the lyrics of the song for him. "It's Now or Never" was released in 1960 and became a number-one record in the U.S. and the UK, spending nine weeks at the top of the charts – thankyouverymuch. Bill Haley did not write "Rock Around the Clock." The song was written by Max C. Freedman and James E. Myers, with Haley's version the most popular version recorded. Songwriter Myers claimed the song had been written for Haley, but Haley was unable to record the song himself until April 1954. The popular Christmas carol "Silent Night" went to new fame when Bing Crosby recorded it. The Crosby version of this beloved Christmas carol has maintained its popularity for years, and has been recorded by over 300 artists including Crosby, Mahalia Jackson, Enya, Stevie Nicks, Andrea Bocelli, Susan Boyle and an instrumental version by Mannheim Steamroller. "White Christmas," ironically written by famed Jewish songwriter Irving Berlin, became one of Crosby's signature hits. 1. 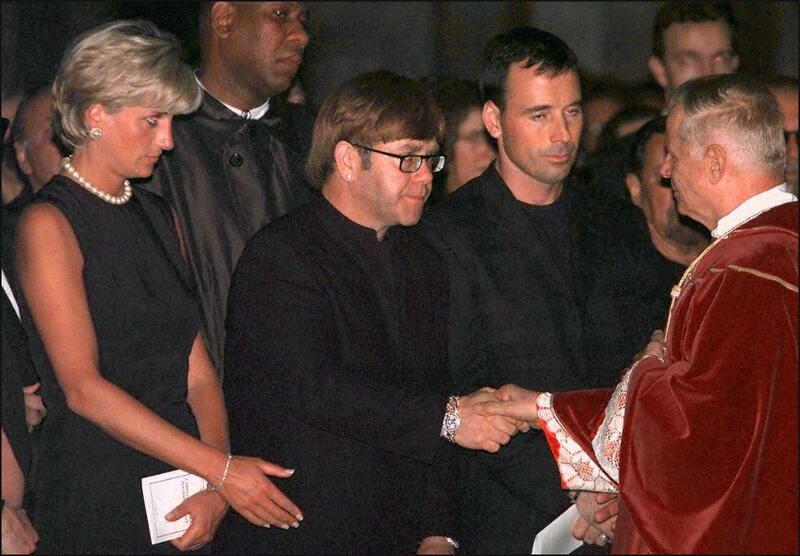 Elton John – "Candle in the Wind 1997″/"Something About the Way You Look Tonight" – 37 million copies sold Sir Elton John did a remake of his hit "Candle in the Wind" in honor of Princess Diana after her untimely death. Bernie Taupin rewrote the lyrics for John and famed Beatles producer George Martin produced the song. Besides John's single capturing the number one single sales of all time, the single became the first song in history to reach the top in the four major countries in the music industry: United Kingdom, Japan, United States, and Germany.